Artists Bridge the Gap is an all day event bringing together live art, music, and theatre from across the island for the purpose of bridging gaps between international communities and creating opportunities for those in need. The first such event took place in 2009 following Typhoon Morokat. 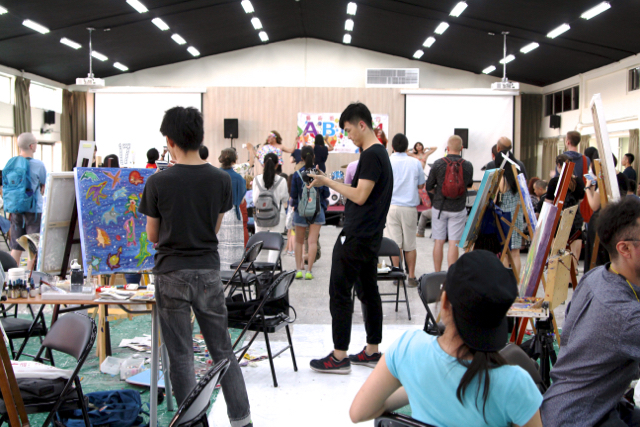 Observing the devastation Morokat had caused in Taiwan, the artistic community organized Artists Beat the Flood, a live art event to provide aid for those in need. The event was very successful, thanks to everyone’s support, raising over half a million New Taiwanese dollars to support disaster relief efforts. The events that followed, Artists Beat the Flood II and Artists Break the Mold III, were organized to support the Red room and all the volunteers, artists, musicians, and writers who are part of the community. Learn more by searching ABTF or ABTM on the Red Room website or on the web. Our annual festival is a celebration to awaken our creative potential, explore sustainable communities, and is an opportunity to inspire one another through the power of written word, visual art, music, physical and theatrical performance, and our connection with nature. Each of our programmes exemplify the Red Room’s Culture of Listening. This series explores the theme of “Create.” To create is to make something new, to craft something that is unique to each individual. 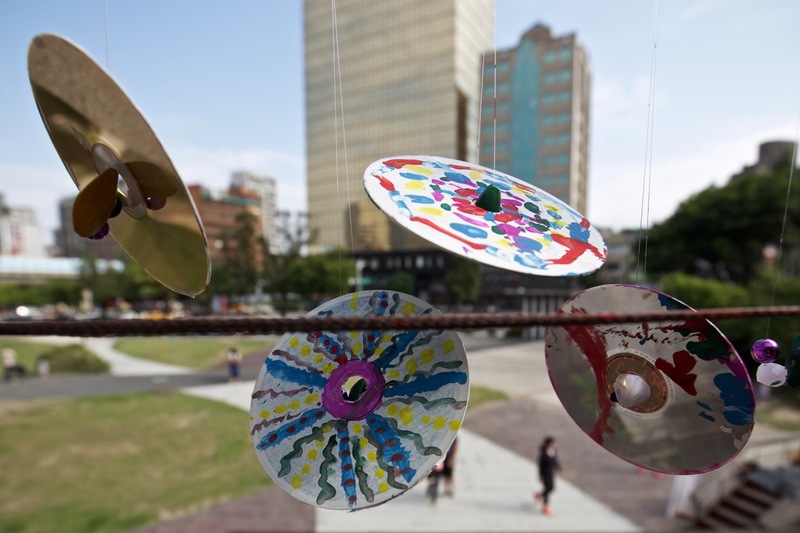 Red Room presents AN ALL DAY LIVE ART & MUSIC EVENT FOR EVERYONE for the purpose of building and creating a shared community in Taiwan. Artists Break the Mold 3 is a full day live event pulling together artists and musicians from across the island for the purpose of building and creating a shared community in Taiwan. Artists will paint through the day, on site and there will be live music all day. A silent auction of all the works will be held. 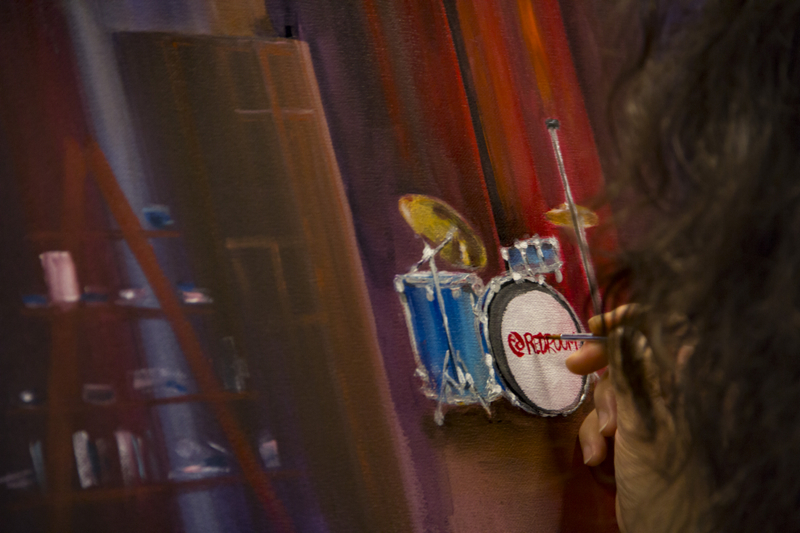 The Red Room has become a hub for community, flooded by artists, musicians, creators and creative-supporters. Join us at ABTM3 as we continue our journey down this river of community building. A first for many, a second for a few. Artists Beat the Flood took place at a summertime pace. 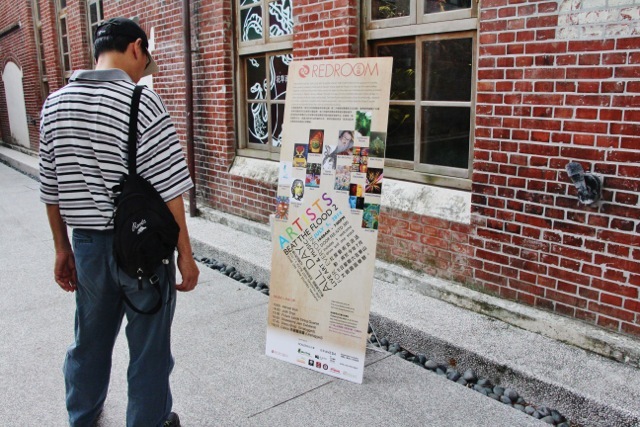 With 16 splashing visual artists, 5 harmonious music groups, and numerous generous partners, we were able to launch a wonderful event, and a unique experience where the Red Room hosted a live art and music event at Huashan Creative Park 華山文創區, a first for both the Red Room and Huashan. 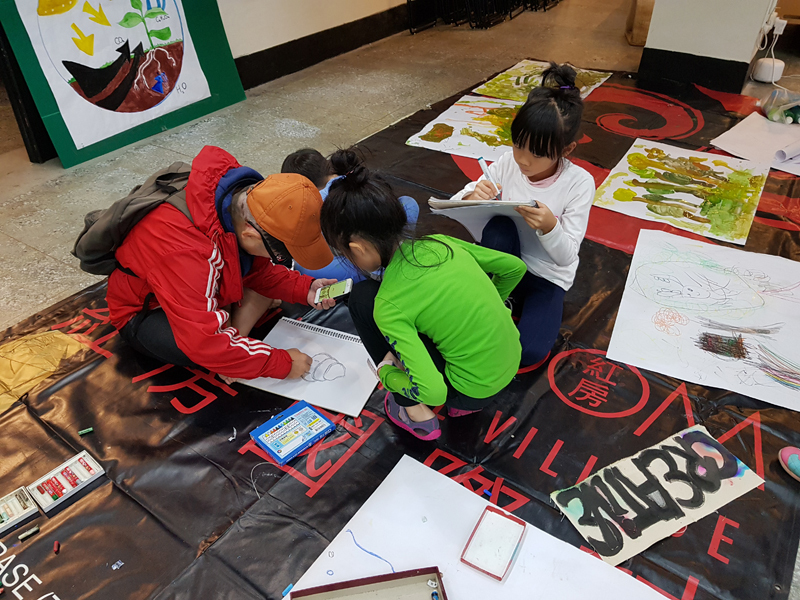 Thank you to venue host Huashan and Emily Wang, coordinator for libLAB Studios, and to Brendon Chen from Escape Artist contributed the canvases, attended, and participated. 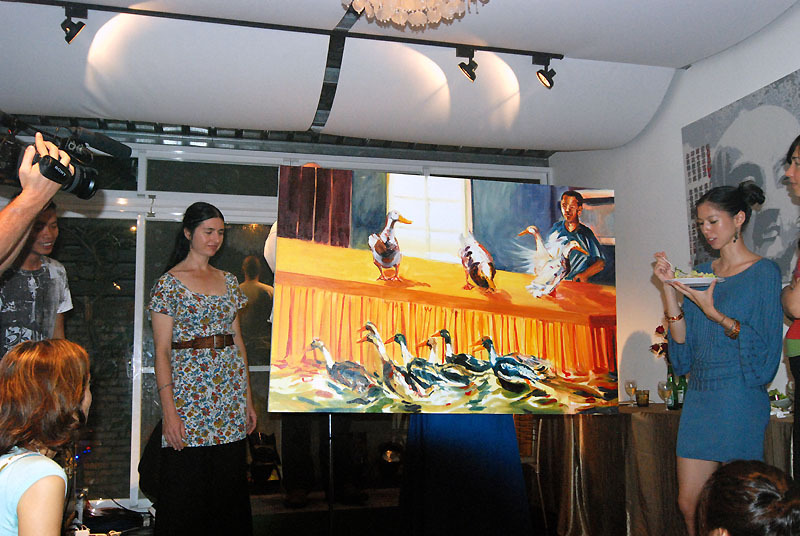 A charity art auction held at the Lili Gallery in Tienmu on Sept. 5, raising a remarkable half million NT dollars (about US$16,000) for victims of Typhoon Morakot.